Norfolk County Register of Deeds William P. O’Donnell will hold Office Hours at the Foxborough Public Safety Building located at 8 Chestnut Street from 10:00am until 12:00pm in the McGinty Room on Thursday, May 28, 2015. Register O’Donnell and members of his staff will be on hand to answer questions about the Norfolk County Registry of Deeds. The Register will have information about the Massachusetts Homestead Act as well as on-site work stations that can provide in real time the status of your mortgage discharge, a print out of your deed or a demonstration of how Registry technology works. No appointment is necessary. This is a community outreach initiative sponsored by the Norfolk County Registry of Deeds. It is Register O’Donnell’s goal to provide a convenient way for residents to learn more about how the Registry serves Norfolk County while conducting Registry business closer to home. Although Registry staff cannot provide legal advice, they will be able to answer basic questions, provide general information, take a document for recording and assist in filling out Homestead Declaration Forms. To learn more about these and other Registry of Deeds events and initiatives like us at Facebook.com/Norfolk Deeds or follow us on twitter.com/NorfolkDeeds. 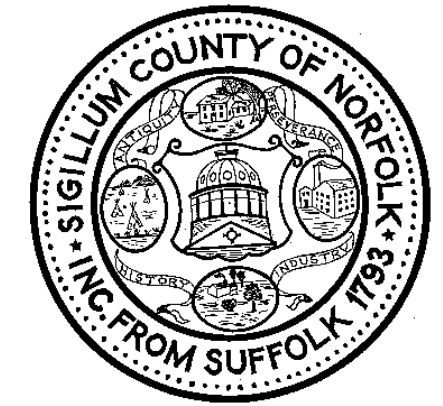 The Norfolk County Registry of Deeds, located at 649 High St., Dedham, is the principal office for real property in Norfolk County. The Registry is a resource for homeowners, title examiners, mortgage lenders, municipalities and others with a need for secure, accurate, accessible land record information. Residents in need of assistance can contact the Registry of Deeds Customer Service Department via telephone at (781) 461-6101, or on the web at www.norfolkdeeds.org.